Straight Talk has done something incredible. 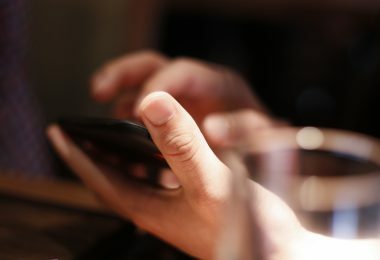 They have taken one of the world’s best smartphone brands (Samsung), merged it with a quality smartphone platform (Galaxy), one of the best nationwide networks (Verizon), one of the most stable and robust Smartphone Platforms available (Android Gingerbread) and one of the best monthly plan deals available (Straight Talk unlimited). 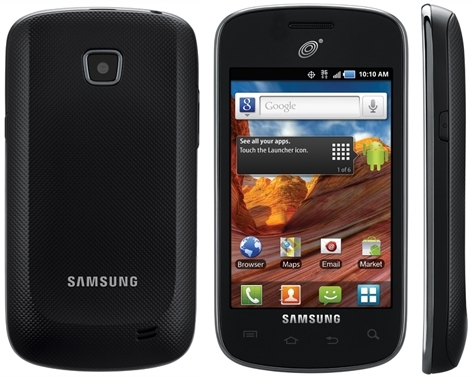 This combination is called the Samsung Galaxy Proclaim. You can pick it up right now from Straight Talk and take advantage of a special free shipping deal (click here) that we are able to offer to you. 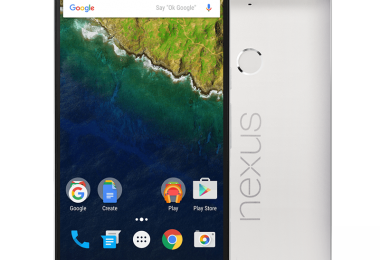 If you have been waiting to jump into the smartphone arena – this is a great place to start. If you already have a smartphone – this could be a great upgrade for you that could save you from $100/month phone bills. Keep reading for all of the incredible details! When Straight Talk first got into selling Androids, everyone was speculating about the network that their devices would run on, since they historically have used both the AT&T and Verizon networks. An Android phone on a $45/month prepaid, no-contract plan on either one of these networks is pretty exciting. However, everyone was underwhelmed when they found out that rather than using the Verizon or AT&T networks, their first offering would use the Sprint PCS network, which historically has been more limited. 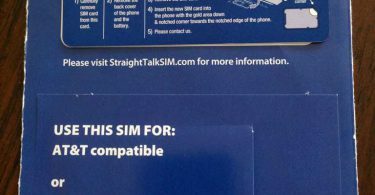 Straight Talk’s second Android phone also was placed onto the Sprint network. This phone is the only way to get a smartphone on the Verizon network through Straight Talk. 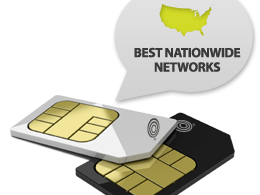 You can use many other smartphones, including the iPhone & Samsung Galaxy S III on the AT&T / T-mobile networks with Straight Talk SIM, which is a great option for many people – however some people have challenges with AT&T / T-Mobile reception and would prefer to use the robust Verizon nationwide network. As mentioned earlier, this phone uses the Verizon network. To the side here you can see an overview of what that coverage area looks like – and as you can see it is quite extensive. For street-level detailed coverage maps, please see our earlier post about Straight Talk detailed coverage maps and scroll down to where it says “Samsung Galaxy Proclaim”. From there you can jump to the Verizon Wireless site where you can see street-level maps that will show you the coverage you can expect to get from your Samsung Galaxy Proclaim. The Samsung Galaxy Proclaim is getting very good reviews. People are stating that the Proclaim is responsive and fast. Benchmarks show it to beat out some recent top-tier phones like the Nexus S Google phone. This is one of the nicest phones offered directly by any prepaid carrier in the world today. 3.5″ Touch Screen with Gorilla Glass! Android 2.3 Gingerbread – Run apps like YouTube, Web Browser, and whatever else you want by installing through the Google Play market. The official model number for this phone is Samsung S720C. This phone is a cousin to the Samsung Galaxy Illusion, which can be purchased directly from Verizon, however the Verizon plan that goes with it costs $80 and includes only 1GB of data! Getting all of this for $45/month is an incredible deal! This phone requires Straight Talk’s $45/month unlimited talk minutes, unlimited text and unlimited data plan. If you are extremely frugal, there are ways you can get a discount on the $45/month plan with some clever tricks. Be sure to read how you can get Free Shipping on this phone and save 10% or more off your Straight talk phone purchase by following the instructions I shared in an earlier post. This is a very nice phone on a very good network. If you’re an average to demanding smartphone user, this phone will satisfy. For $180 upfront, and a $45 no-contact plan that you can abandon at anytime, this phone is a very good buy. Jump over to Straight Talk right now for a special deal on the Samsung Galaxy Proclaim! I’d just like to say that this phone does NOT have gorilla glass. Bob, It says that it does in the specs. Do you have a reference for this? Just got this phone on straight talk.So far great.will save 45 a month on air card,goin tether it to pc.I think if you want to spent much this is the way.But knowing me ill screw up phone,ive got to try to root it just to see if i can.